Industrial Design Research (“I.D.R.”) was formed by Dave Stollery in 1989. Dave spent some 25 years as faculty at the Art Center College of Design in Pasadena, one of the worlds premier design colleges. Upon learning that the State of California was dissatisfied with some of the aspects of their fiberglass lifeguard towers, Dave investigated by interviewing a number of lifeguards. Based on their input he came up with a design better suited to a lifeguards needs. This catapulted I.D.R. into the lifeguard tower business where it remains today as the premier manufacturer of this type of product worldwide. We continue to listen intently to these lifeguards as they are the source of our constant improvement and new and innovative features. 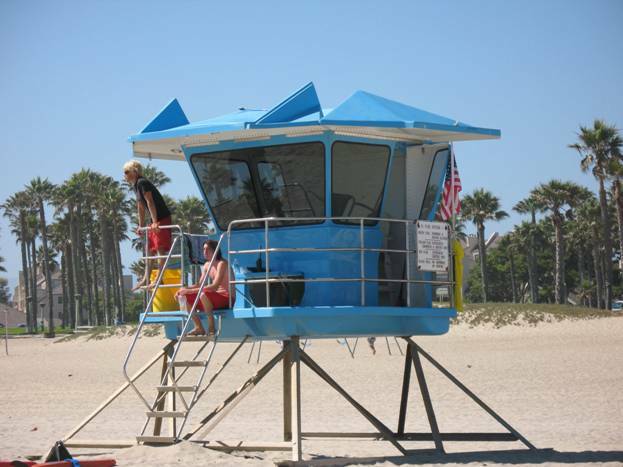 We have sold over 400 Lifeguard Towers to date with large concentrations in the Hawaiian Islands, Florida , and California , as well as numerous other U.S. and International locations. I.D.R. has a reputation for user friendly design and quality product that is ideally designed for harsh marine / aquatic environments.